Typically accomplished through pneumatic conveyors, powder handling can also be done using closed or flexible screw conveyors. Pneumatic conveyors are particularly advantageous for powder handling applications as a result of their enclosed, tubular design, which reduces product leakage as well as eliminating material and operator contact. In addition, pneumatic conveyors offer decreased product contamination, which is a problem for screw conveyors since they are more susceptible to incur product damage by caking, smearing, packing, or grinding. 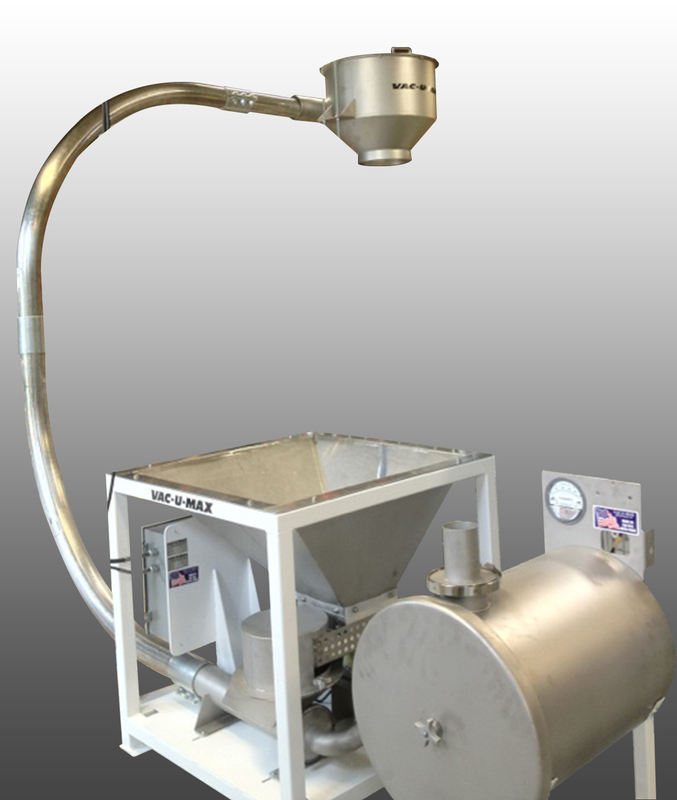 Common powdered solids that are handled using pneumatic conveyors include metals, chemicals, fly ash, flour, and talc. As pneumatic powder handling is most often used to move materials through manufacturing and processing stages, powder handling conveyors must be able to carefully and efficiently transport powders that could be potentially hazardous. Due to wide-ranging powder handling applications, diverse industries require powder handling conveyors including pharmaceutical, food and chemical processing, industrial, ceramics, plastics, and construction. However, most pneumatic conveyors are designed to handle specific material types, so different industries will require a different type of conveyor. 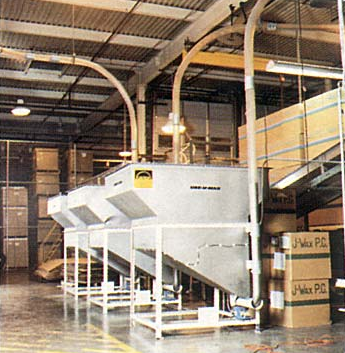 For powder handling applications, dilute phase pneumatic conveyors are the most common type of conveyors used. Dilute phase conveying can be done with either pressure or vacuum pneumatic systems, as long as high air velocity is created and maintained. Dilute phase conveying can utilize either positive or negative pressure, although each of these types of systems works best in certain circumstances. For example, positive-pressure dilute phase conveyors are best suited for conveying materials loaded from a single entry point to one or multiple destinations. Positive-pressure systems can transport materials over a relatively long-distance and use a minimum quantity of air to move the material. Conversely, negative-pressure dilute phase conveyors work best in transporting powdered materials loaded from numerous inlet points and discharging them at a single point. In addition, there are a variety of different dilute phase conveyor system designs. A closed-loop dilute phase conveyor uses an inert gas as the conveying medium to convey the powder in a closed-loop system. This type of dilute phase conveying is useful for handling hazardous powdered chemicals. A centrifugal blower dilute phase conveyor can use a combination of pressures or other system designs but use centrifugal blowers in place of positive displacement power packages. Powder Handling Powder handling is the process of industrial mixing, conveying, measuring, or packaging of delicate, friable, sticky, or free-flowing powdered solids.